The Oasis Square Coffee Table blends seamlessly into a modern or traditional setting. It combines an aged teak tabletop with a a sleek aluminum frame to create this beautiful and versatile look. 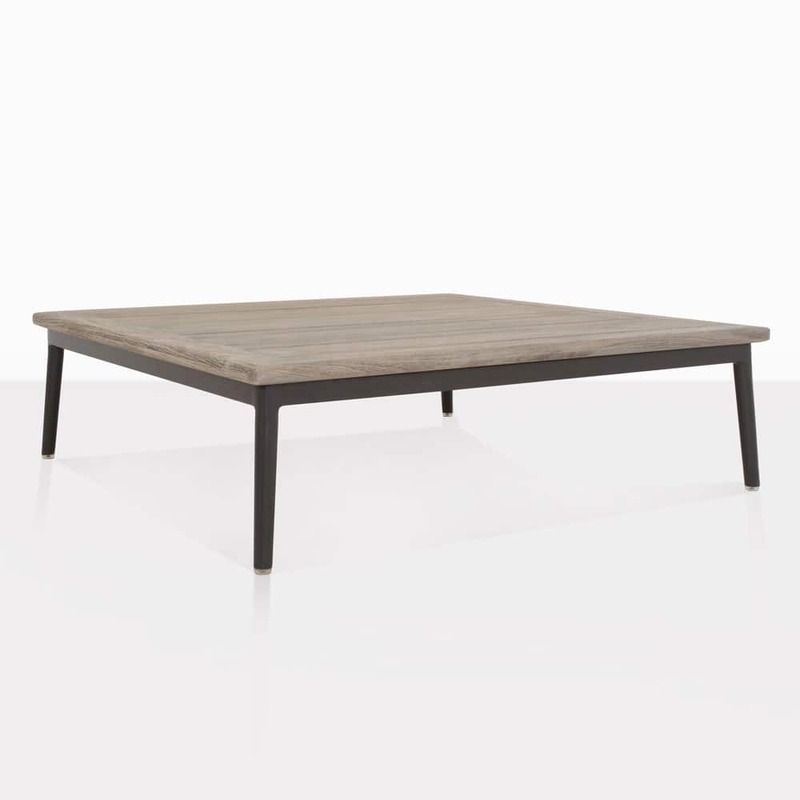 The Oasis Coffee Table has a large square foot print and low profile. This adds to the contemporary feel. The aged teak top is full of interesting and natural character and a warm brown color that will patina into a lovely grey. Call us today to order the Oasis Coffee Table and create a dreamy living space that is comfortable and functional.